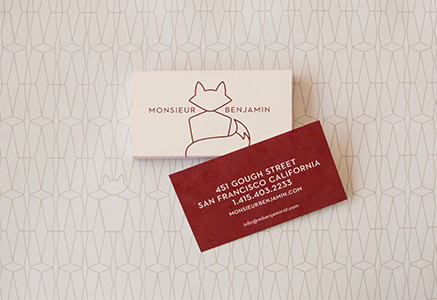 Modeled on the classic bistro, Monsieur Benjamin is casual but chic—French but not faux French. 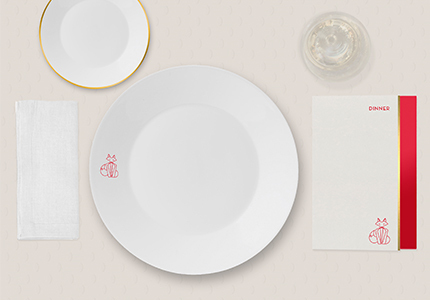 The identity design encompassed logo, letterhead, signage, dishes and place setting, uniforms, wine label, matchboxes and other paraphernalia, and website. 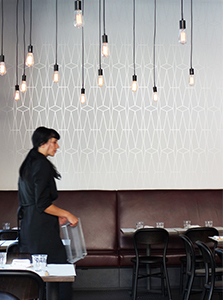 The color palette is restrained—a classic red with black and gold accents—and the materiality draws on natural textures such as butcher paper. 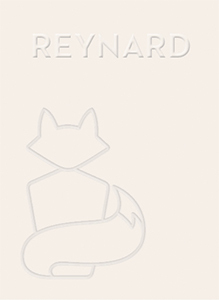 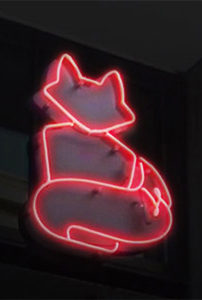 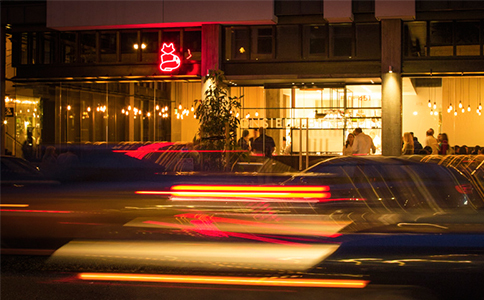 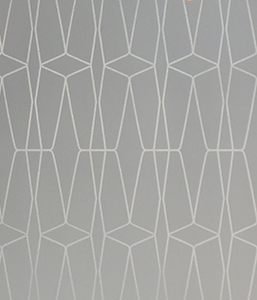 Reynard, the fox logo, becomes the restaurant’s charming and mysterious mascot.